UESP Forums • View topic - Favorite guild leader? Post subject: Favorite guild leader? who is your favorite guild leader in all of the games??? Post subject: Re: Favorite guild leader? I also like the Grey Fox, but not as a Guild leader as he was a fairly self-centred leader. 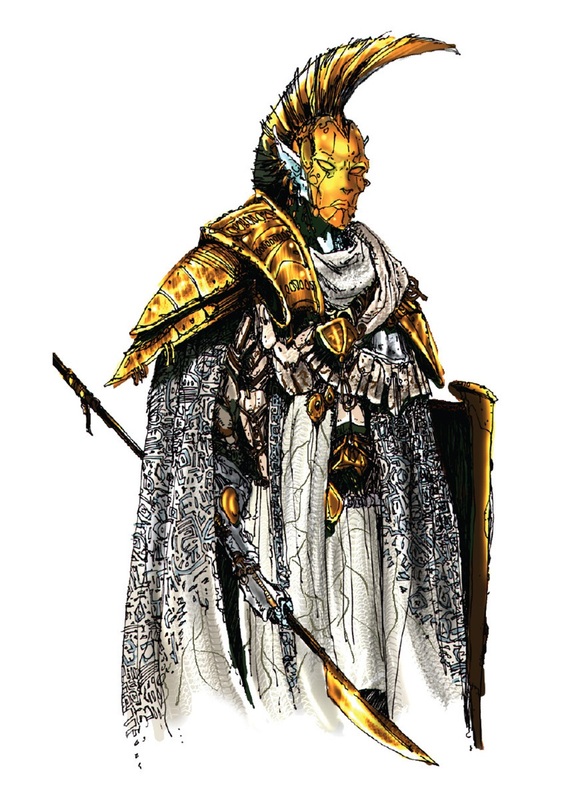 The Oblivion leaders weren't any good as a general rule, which is why they needed to be replaced. The one exception is Arch-Mage Traven, who is somewhat admirable. I also liked Modryn Oreyn because of his dedication to the Fighters Guild, and Gentlemen Jim because he was pretty cool. Caius Cosades, I had hoped we would see him in Oblivion and he would have told a few epic stories of him and Nerevarine . Trebonius Artorius, he has the two nice quests and its funny how he could even become archmage. It would have to be Owyn, the boss of the bloodworks in Oblivion. I like the fact you have to prove yourself to him before he respects you, his passive aggressiveness and his sarcasm! I remember Owyn saying something about "...down here I'm the boss, I don't care if the emperors ghost is floating around, down here he answers to me!" or something like that. I didn't think to argue, I like my liver where it is! Actually I remember that quote too . I also remember that Owyn seemed a bit intimidated by Ysabel, but that could have been for more personal reasons rather than his job. Those are probably my favourites. Also Trebonius just for the laughs. Status: Skyrim non est ludus. Est via vitae. Hmm... It's easy to say the ones I don't like, at least from the much fresher in my mind Oblivion. I dislike Vilena Donton, who is a poor leader. Arch-mage Traven is a respectable leader, but a bland personality. The Grey Fox was the opposite, being interesting but a selfish leader as Duruza said. The Dark Brotherhood's listener, Ungolim, is weak and rude, so no to him. That just leaves Owyn and Jauffre, my favorites. STOP! YOU'VE VIOLATED THE LAW.